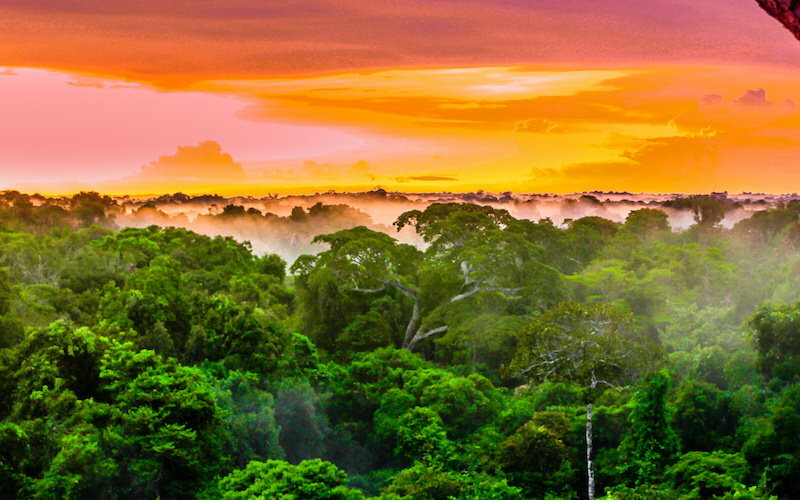 The Amazon rainforest abounds with unique experiences for nature lovers. It’s home to 10 percent of the world’s 10 million living species. From the Brazilian city of Manaus, cruise along the Amazon River in search of jaguars, anacondas, howler monkeys, caimans, and pink dolphins. Humanity’s impact on the jungle comes alive when you visit historic rubber plantations, enjoy traditional dancing with indigenous tribes, or get taught how to use a blowgun. 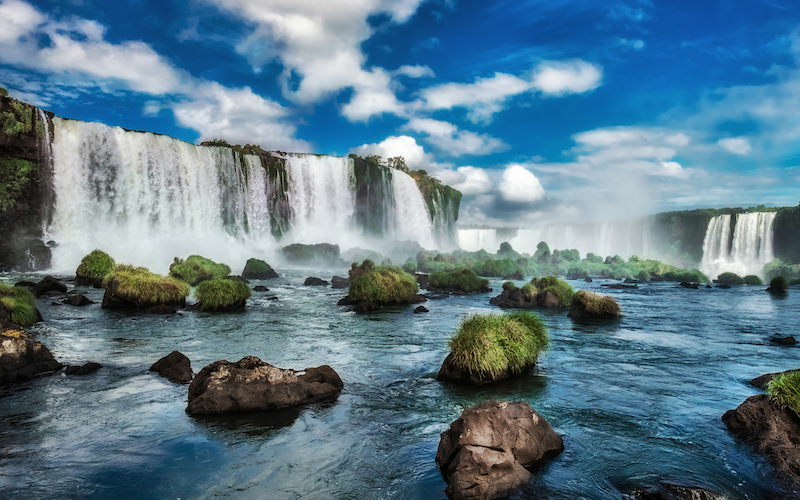 Arguably Brazil’s most stunning natural attraction, Iguazu Falls overwhelms the senses with its semicircular Garganta del Diabolo (‘Devil’s Throat’) chasm, which can be approached both by boat or catwalks. The spray and the sheer volume of the water provide a scintillating wake-up call and remind us of how small we are in the grand scheme. Bordering on Argentina, Iguazu Falls is both taller than Niagara Falls and wider than Victoria Falls. Keep your eyes peeled for toucans, parrots and butterflies in the surrounding greenery. This world-famous 15th-century Inca citadel in the Andes burgeons with structures whose names conjure up adventure. From the Royal Tomb and the Temple of the Sun to the Sacred Plaza and the Temple of the Condor, there are innumerable sacred ruins to explore. 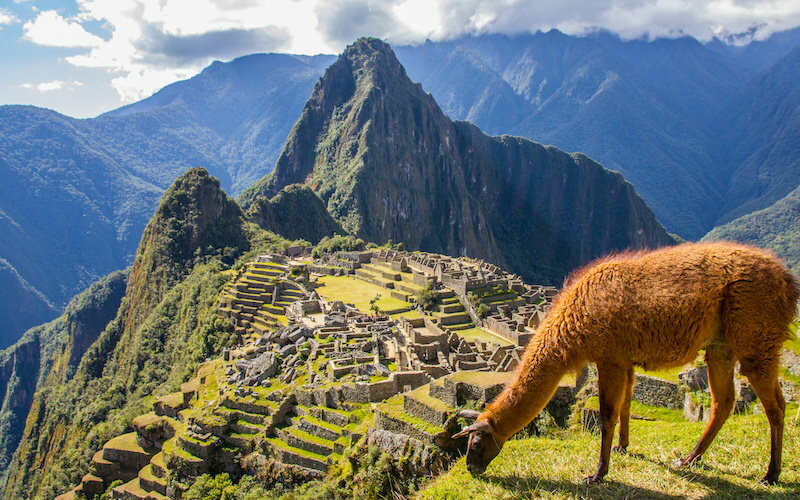 You can get here aboard the luxurious Hiram Bingham train – named after a Yale professor who publicized Machu Picchu in 1911 and became the inspiration for Indiana Jones – from Cuzco or hike the iconic Inca Trail. It’s no wonder Machu Picchu alone inspires more than a million visitors to travel to South America annually. Imagine a place that’s so ancient and dry that scientists have studied it to assess the possibility of life on Mars. 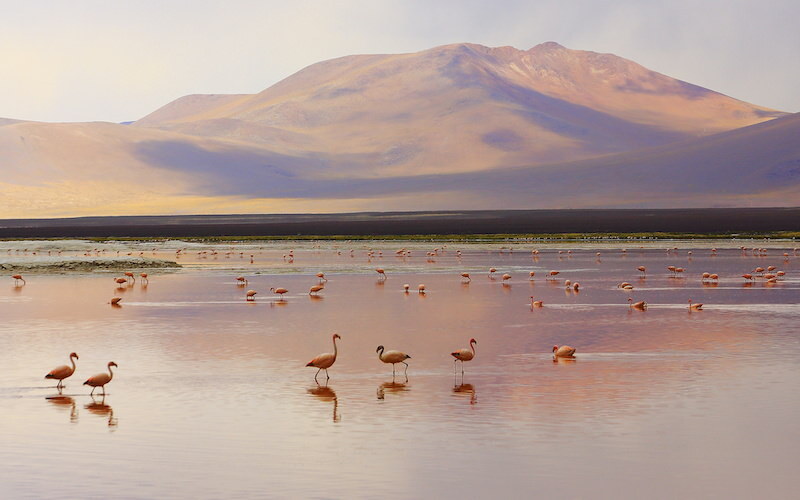 That place is the Atacama Desert, the world’s driest desert, situated on a huge plateau on Chile’s Pacific coast. Its vast, silent landscapes and glorious sunsets inspire peaceful meditation. The Puritama Hot Springs, a series of geothermal pools in a canyon, offer a refreshing break from the aridity, while horseback riding and hiking provide different perspectives on the desert. Daredevils who have always dreamed of exploring an active volcano are magnetically drawn to Cotopaxi National Park. Standing nearly 20,000 feet high, the conical, snow-capped peak is visible from the Ecuadorean capital of Quito on a clear day, and has erupted close to 90 times in the last 500 years. 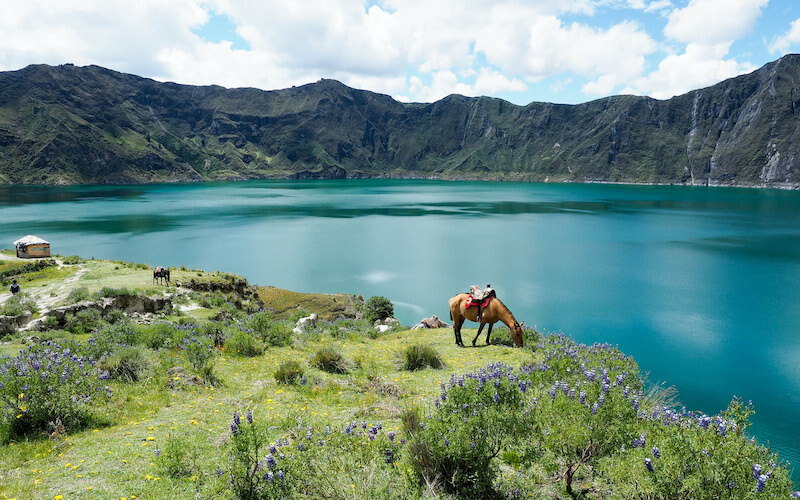 Hiking trips to the summit offer incredible sightings of everything from glaciers and wild flowers to condors and wild horses. The challenges of adventure travel at this altitude are well worth it. 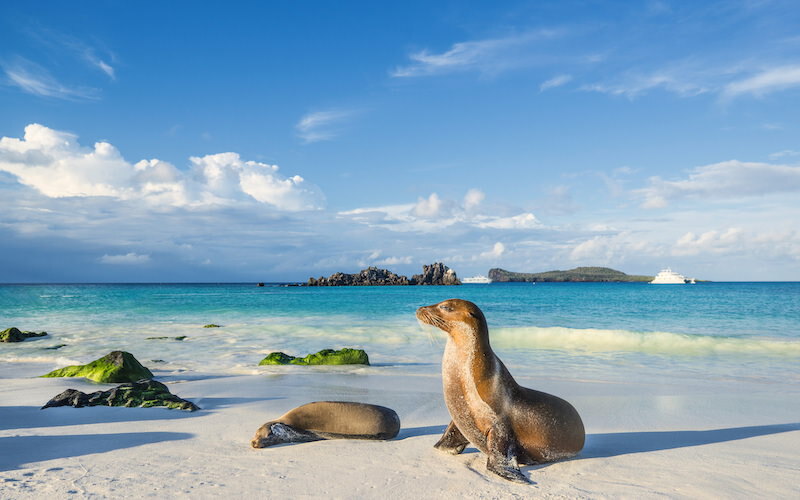 Designated a World Biosphere Reserve by UNESCO in 1985, the Galapagos Islands gained fame when Charles Darwin used their diverse species to validate his theory of evolution in the 19th century. Today, the appeal lies in up-close encounters with utterly fearless creatures from penguins and sea lions to iguanas and tortoises. Take a diving tour on a yacht to see hammerheads, manta rays and huge whale sharks. These 13 volcanic islands, located less than 1,000 kilometres from the coast of Ecuador, are eerie, beautiful, and unmissable. Only choose this adventure if you’re committed to scaring yourself in the process. 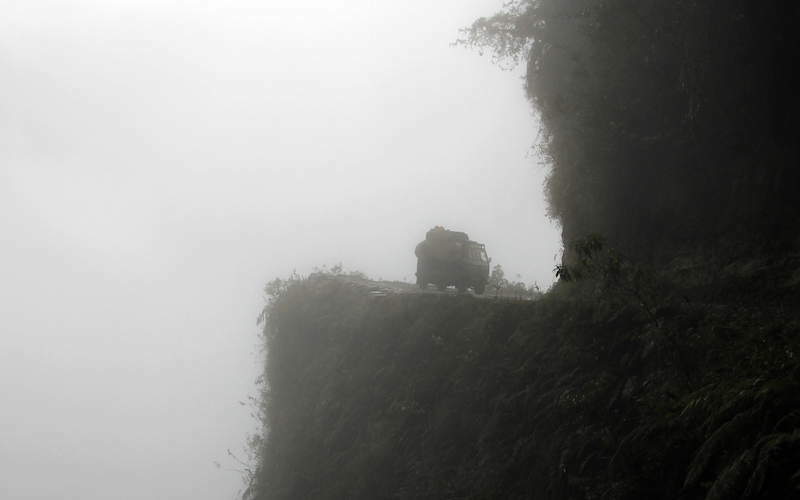 The North Yungas Road kicks off at an elevation of 15,400 feet near the Bolivian capital of La Paz, and attracts hordes of mountain bikers every year for the perilous, twisty descent on a bumpy single-lane road. The scenery is spectacular with snow-capped mountains, jungle vegetation, and waterfalls. ISome 200 people perish each year on ‘Death Road’. To avoid joining their ranks, tackle the road with a certified adventure travel operator like Gravity Bolivia. 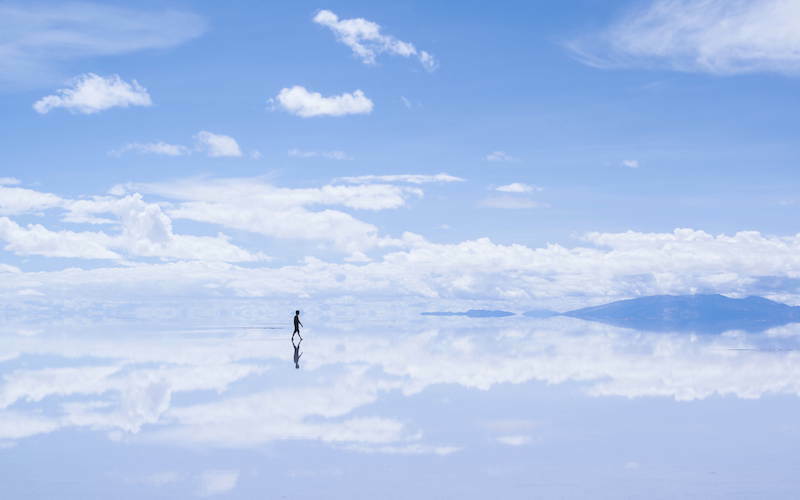 Covering more than 10,000 square kilometres, Salar de Uyuni is the world’s largest salt flat, created by long-evaporated prehistoric lakes. Visit from May to November for dry conditions with beautiful polygonal patterns on the salt crust. Or come between December and April when rains create the effect of a giant mirror. Jeep tours are popular. By night, this Bolivian natural wonder offers unspoiled dark-sky conditions, making it a can’t-miss star-gazing destination. Salt will never taste quite the same again. It’s not hard to understand why local native people once worshipped El Penon de Guatape. This giant granite monolith, bordering two small towns in the central Andes, is as eye-catching as it’s steep. Climb 740 zig-zagging steps to the summit. 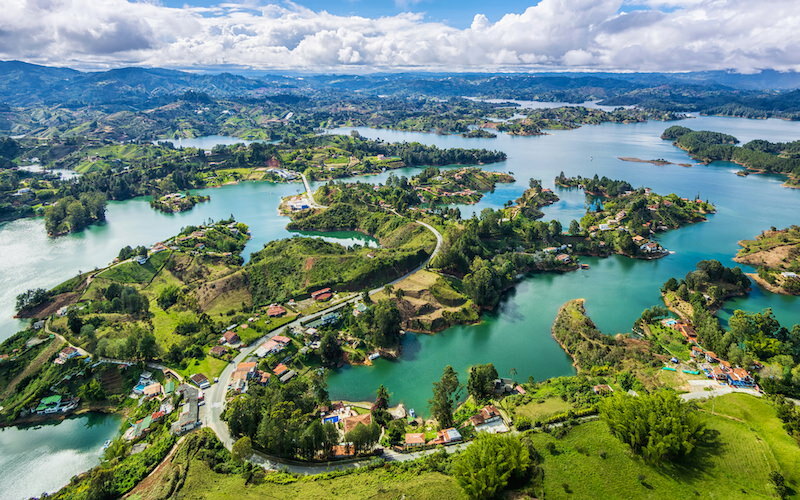 After that thigh-burning ascent, check out local food and handicrafts for sale and admire the surrounding lakes and islands. El Penon de Guatape is a two-hour bus ride from Medellin, Colombia’s second-largest city. 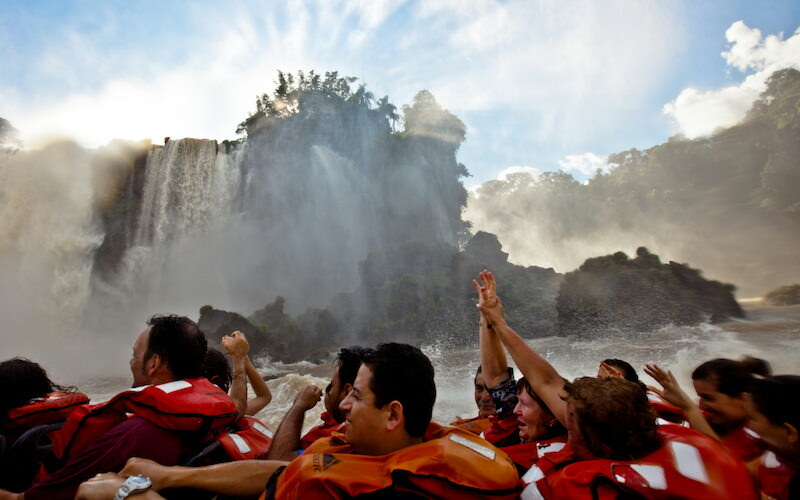 Argentina might be famous for its tango dancing and steakhouses, but South America’s second-largest country is also a whitewater rafting mecca. With rivers ranging between Class II and Class IV, there’s something for all levels of experience. En route, visual highlights include the Mendoza River’s wild, scenic canyons, the glaciers and waterfalls in Nahuel Huapi National Park on the Manso River, and the gorgeous turquoise pools along Patagonia’s Hua-Hum River. Come between November and March for the best whitewater rafting adventures.